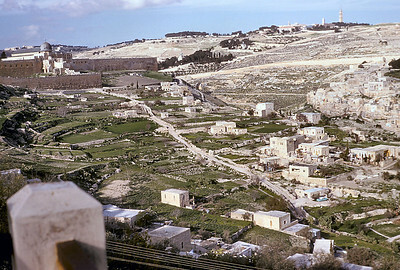 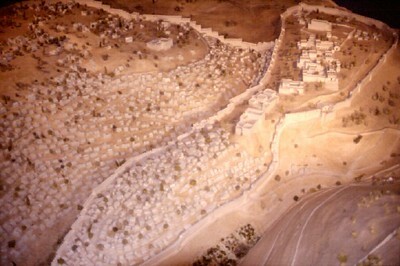 City of David area below Jerusalem's Old City wall, 1960s (Before six-day war -- Jordanian territory). 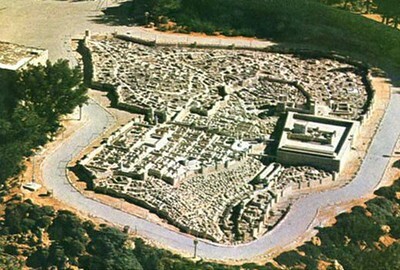 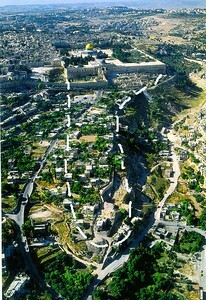 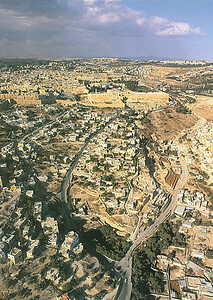 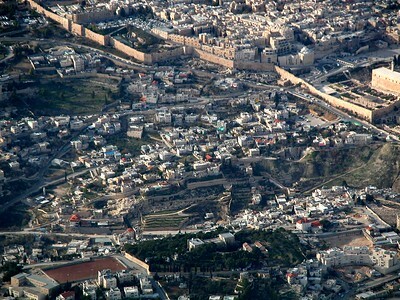 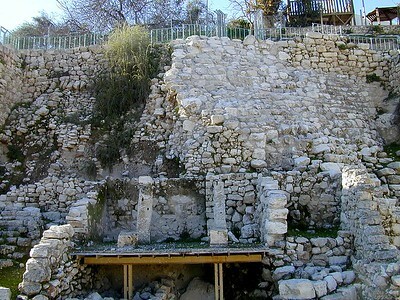 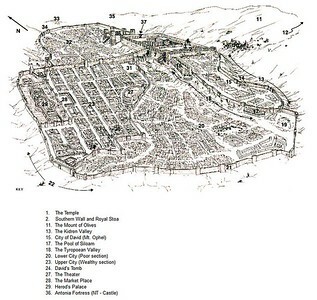 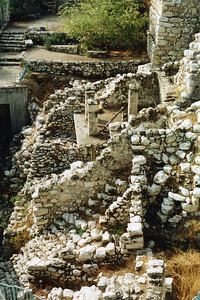 The City of David area begins below the Old City wall to the right of the descending road and stretches down along the right side of the road from the upper center of photo to the lower right. 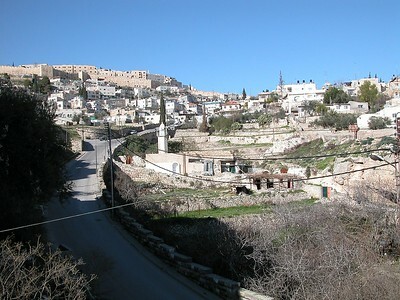 New, two and three story Arab homes are starting to appear in this area which is still unexcavated. 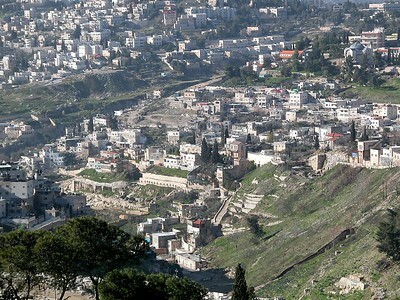 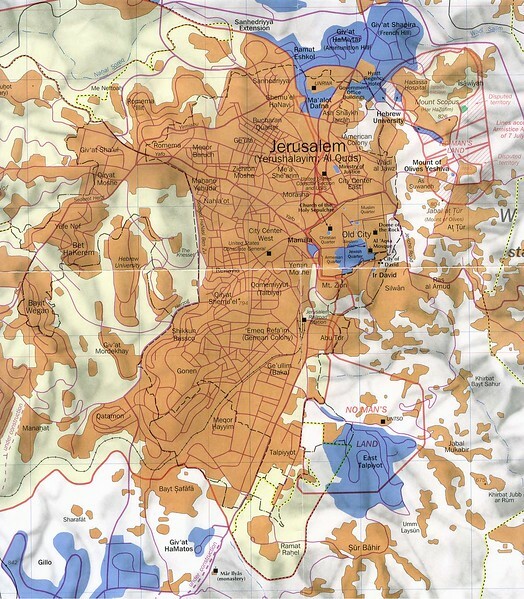 The entire region, including the Old City, in this photo is Jordanian West bank territory. 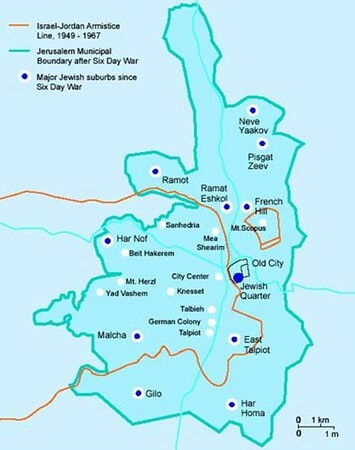 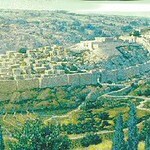 All Jews have been driven out, including from the Old City. 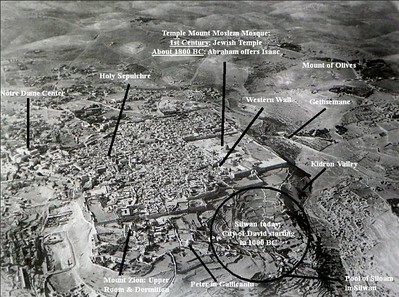 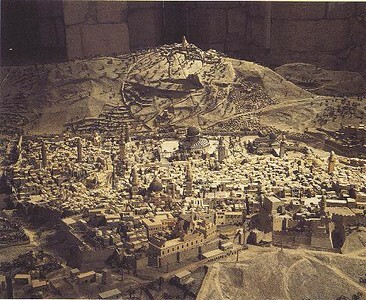 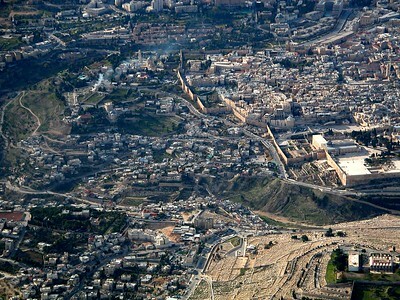 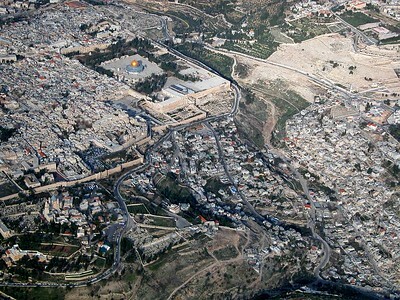 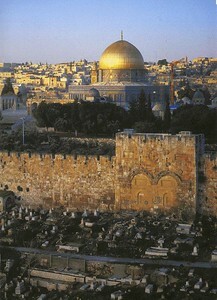 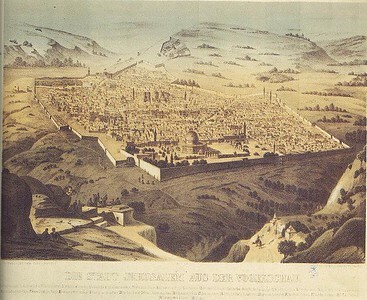 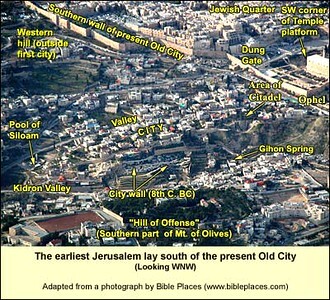 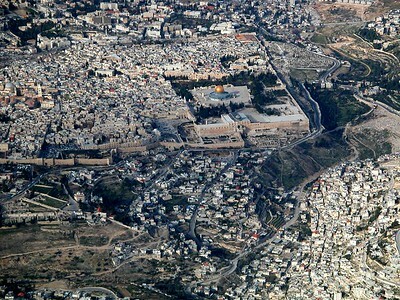 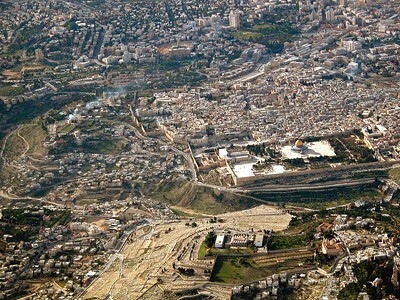 Overview from south-west, temple mount/Dome of Rock at top left, Mount of Olives beginning at top center above the Old City walls and extending across to the top right of the photo.